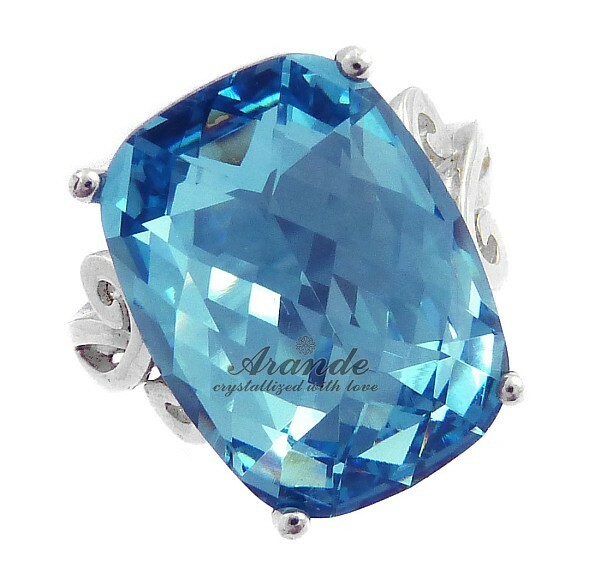 Beautiful silver ring with Swarovski crystals: AQUA. These genuine Austrian crystals are made in famous Swarovski Elements collection world-known for best sparkling pearls and crystals. 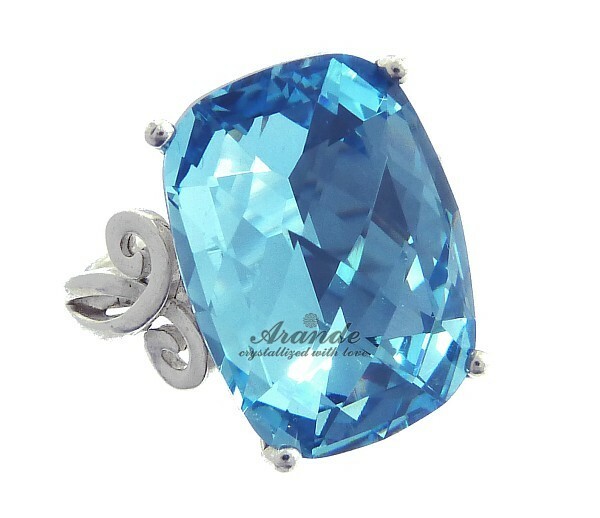 Original large crystal in beautiful AQUA color. Available colors: Siam (red), Crystal, Sapphire (blue), Peridot (green), Emerald (dark green), Silver Night. Unforgettable jewellery for any occasion. It can be central element of your style or may be a perfect gift for your significant other. All sizes available. Please leave us a note about the size after making the order. Silver elements made with sterling silver 925. The stamp is marked on the ring. Beautiful ring with stylish finishing.